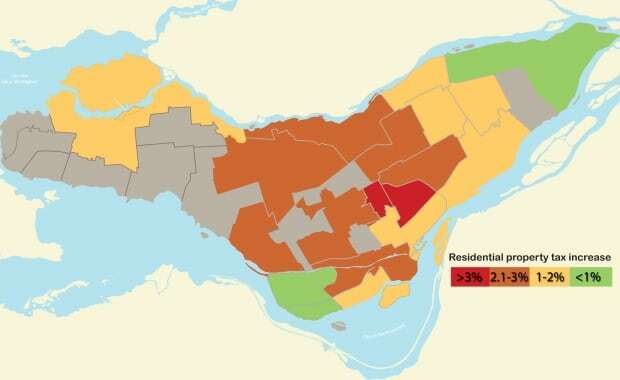 Montreal residential property owners will see an average increase of 1.9 per cent on their property taxes as part of the 2016 budget, but the specific rates vary widely by borough. Here’s a breakdown of the average hikes by borough, including the increases in both city taxes and borough service taxes. Note that within each borough the increases also vary by property type. They are generally higher for single-family homes and lower for condominiums and multi-family dwellings.